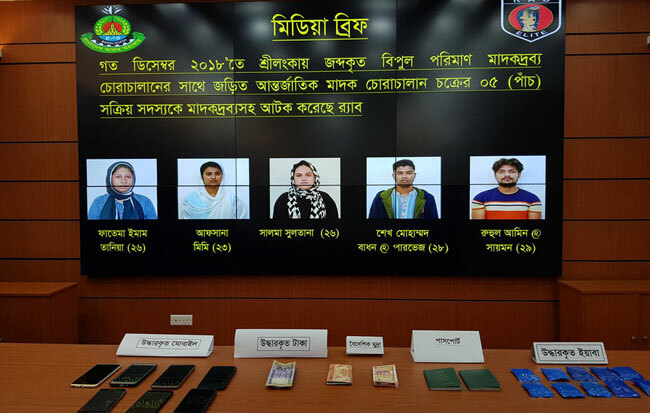 Rapid Action Battalion (RAB) has arrested five suspected members of an international drug peddling gang in Dhaka’s Kawla area. Fatema Imam Tania, 26; Afsana Mimi, 23; Salma Sultana, 26; Shekh Mohammad Badhon alias Parvez, 28; and Ruhul Amin alias Saymon, 29; were detained around 11:30 pm on Monday. 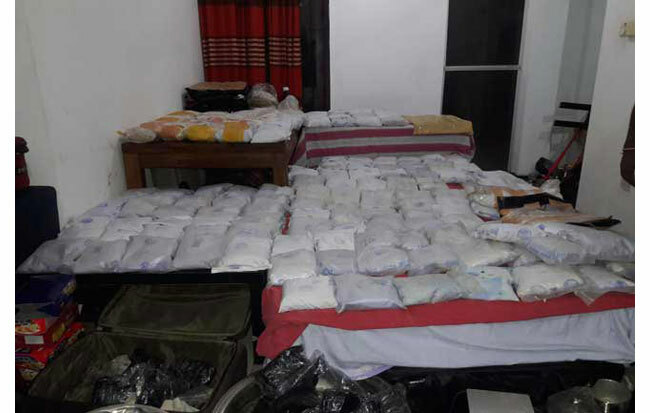 RAB said the detainees are linked to a huge haul of drugs seized in Sri Lanka in December 2018. At a press briefing on Tuesday, RAB Legal and Media Wing Director Mufti Mahmud Khan said: “Primarily we have come to know that the drug routes are from Afghanistan to Sri Lanka, via Pakistan; and another is from Afghanistan to Sri Lanka, via Pakistan and Malaysia. He added that these five people also travelled to those countries several times. The RAB official said this international group of 15 to 20 people is controlled by Al Amin Fashion Buying house’s Arif Uddin, who is on the run. He said: “Their leader is Rehana. She was detained in China. Four of the detainees came to this line of drug trade through her and Ruhul Amin. 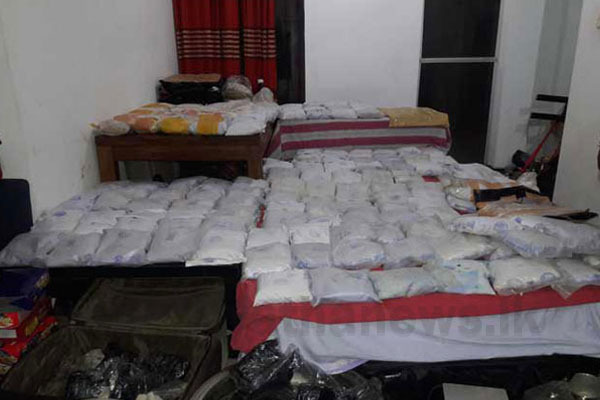 Sri Lankan Police seized 272kg of heroin and 5kg of cocaine in a special operation at Colombo’s Mount Lavinia on December 31, 2018. The Tk152 crore drug haul was seized from a house that was rented in Afsana’s name.